How much does a number after a game’s title influence your purchasing decision? For me it’s a crucial factor, as I have a fear of joining a series at any point beyond the first game. How can I possibly understand the story in a sequel if I don’t know the adventures that have come before? Why would I opt to feel alienated and excluded, while long term fans smile at the back references and subtle series nuances. Of course, the main reason I couldn’t play ‘Final Fantasy III’ in the UK was because Square believed no one here would care for it. Given the series’ monumental success since, this retrospectively seems hilarious but truth be told in the nineties Japanese RPGs had a very small audience. As the series translator Ted Woolsey said at the time, “in the US role playing games are such a small slice of the overall video gaming pie, the following is still very much a minority of gameplayers”. I was not a part of this tiny audience and I hadn’t imported ‘Final Fantasy 2’ or even played the first in the series very much at the time. Even if they were to have released it in the UK I wouldn’t have got it – after all I thought I’d missed two thirds of the over arching series’ narrative. This belief was wrong for two crucial reasons of course. 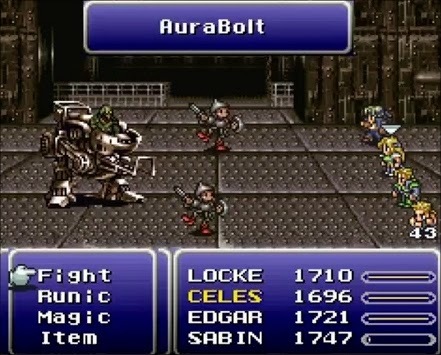 Early ‘Final Fantasy’ games do not interlink and (with the exception of one character name) have nothing in common with one another. More crucial it wasn’t two games worth of narrative that I had missed out on, it was in fact five. 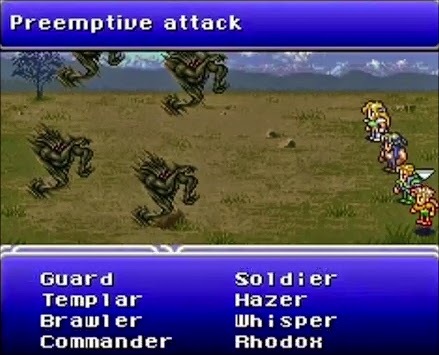 What the US knew as ‘Final Fantasy III’ we now know as ‘Final Fantasy VI’. It was initially numbered otherwise because only select games in the franchise were translated for the West and Nintendo of America didn’t want the audience to think that they had missed games. They didn’t want any potential customers to fear (as I did) that they wouldn’t understand the story if they had missed others in the series. It’s almost a little embarrassing that it took me 30 years to come to the conclusion that I could play and follow this game just like anyone who had played the previous games in the series. The number in the title that had previously seemed so exclusive was in fact irrelevant. It was a silly misunderstanding that had for so long kept me from one of the Super Nintendo’s greatest games. Ultimately, the titular numeral of ‘Final Fantasy III’ (here after referred by its true name of ‘Final Fantasy VI’) is only of significance when you think of it as a hallmark of quality. The game successfully combines all the greatest aspects of its predecessors and packages them together in what is an outstandingly well-crafted game in practically every way. It’s visually spectacular, mechanically intuitive and offers what is perhaps the most emotive soundtrack on the Super Nintendo. When looked at as a whole ‘Final Fantasy VI’ is considered by so some to be not just the best in series, not just the best JRPG on the Super Nintendo, but the best game ever made. It is astonishing now to think that development of ‘Final Fantasy VI’ was completed in just a year, especially as it was the first game in the series not to benefit from the guiding hand of Hironobu Sakaguchi. Instead, helming the project was the creative minds that had played crucial parts in the success of ‘Final Fantasy IV’ and ‘V’, Yoshinori Kitase and Hiroyuki Itou. Although they may share top billing, both have since said that development of this massive game was a collaborative effort, what Kitase calls “a hybrid process”. With new directors, came a revolution in the ‘Final Fantasy’ series. For the next 60 hours, the player will inhabit a world vastly different from the medieval settings that had typified the series before this point. It’s a steam punk world at the mercy of technology, comparable to the second industrial revolution. It’s a brave new world that Kitase said “bewildered some more serious fans of the series” and the overhaul of setting is immediately obvious in the games very first scene. It opens not with a burning village or an epic battle between armoured nights with giant hair, but with a squadron a weary robots trudging mournfully through the snow. It’s a statement from the outset that ‘Final Fantasy VI’ is going to be different to the other ‘Final Fantasy’ games. It will take risks and cast aside the series’ staples, the most prominent of which is the initial absence of magic. Indeed much of the game’s main story deals with the suppression of spells and the embrace of industrialisation and technology. Evidently, thousands of years prior to the start of the game the world was devastated by what is referred to as the ‘War of the Magi’. 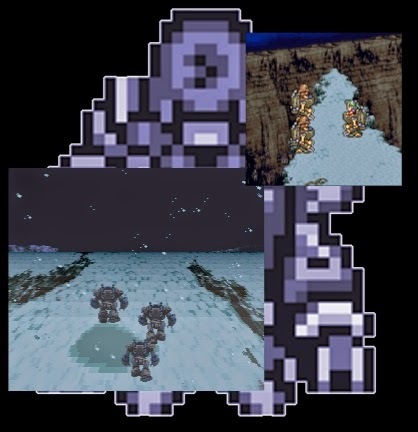 It was initiated by three god-like entities that later, in true JRPG fashion, are so consumed by guilt that the seal their magical powers within three stone statues. These would be guarded by ‘The Espers’; the only individuals that retained magical ability following the war. As a result, these guarding magicians were forced to live a life hidden and disguised, so the rest of the world would no longer know of spell casting. Magic was only spoken of in stories, which then became legend, and ultimately became (final) fantasy. It’s a suitable backdrop to host the largest and most varied cast of well defined characters that I have ever seen in a game, adventure of otherwise. “We began work on ‘Final Fantasy VI’ with the idea that every character is a protagonist in the story” says Kitase. In order to accomplish this ensemble game “everyone on the team contributed ideas for characters into a melting pot”. Many minds decided who the characters should be and how their stories should unfold. Once the character concepts were set in stone it was Kitase who was tasking with finding the common thread amongst the many different vignettes. “I was essentially given the task of unifying all the scenarios and dramatic sections in the game into a coherent narrative”, he recalls. It is one of the game’s greatest strengths that despite your attention being divided amongst 14 playable characters, for each one their personalities and motivations and well told. Indeed, some of the back stories are actually more emotionally arresting than the grander main plot. This was not an accident; it was always Kitase’s intention. “The idea was to transform the ‘Final Fantasy’ characters at the time from mere ciphers for fighting into true characters with substance, who could evoke more complex feelings in the player”. It was a huge success. The individual tales told of love and loss, leaving the player awash with sympathy and admiration for each hero. Indeed, some of the scenes for Cyan and Locke actually proved more emotional than the most dramatic moments in the game’s main story. 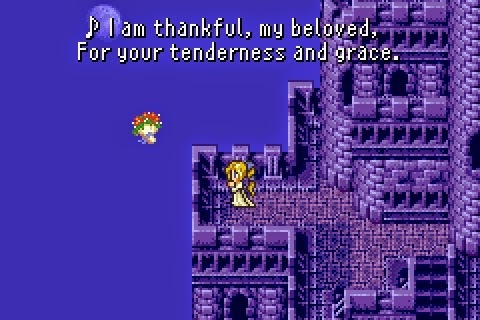 Praise indeed when you remember that ‘Final Fantasy VI’ has probably the largest plot twist in any Super Nintendo game; the complete failure of the heroes to prevent global destruction. 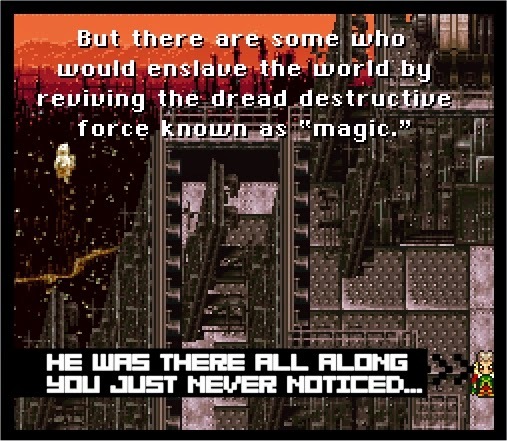 The literally world changing twist would have had none of its punch were it not for the villain at the centre of ‘Final Fantasy VI’. Kefka is a largely unknown quantity for the first quarter of the game, initially portrayed as rather weak and frail comedic minor character; a court jester you barely even notice let alone pay attention to. The fact that this horrific villain was there all along without you really registering makes him all the more intense and threatening. 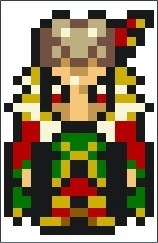 Unlike most adventure games, Kefka is not an evil God or some intelligent life form from space. He doesn't even have a dark commanding presence, or a threatening physique. He is not 10 feet taller than the protagonists or decked in armour wielding a sword the size of a building. He is memorable simply because of his unflinching cruelty and because half way through the game he achieves his goal and destroys the world. Echoing the shift from light world to dark seen in ‘Link to the Past’ it’s a stunningly bold narrative choice by the writers, skewing the second half of the game in an exciting new direction just at the time when the player was beginning to feel comfortable. Many games have various narrative outcomes at the game’s end. When I first saw the events unfolding before me, I was convinced I had done something wrong and was witnessing the “bad end”. Normally if this happens whenyou’re playing a game your only option is to try the game again from the start and hope that better choices lead to a better narrative resolution. What makes the twist in ‘Final Fantasy VI’ so exciting for a seasoned JRPG player is that it forces you to deal with the consequences of action. You have to make your way in a post apocalyptic wasteland that you caused. You did not appreciate the threat coming from the game’s central antagonist and now you must make things right. It’s an existence beyond the ‘game over screen’ that most games would have ended at. It’s not the only place where original ideas are celebrated, and considering that this is the sixth game in a series that had supposedly quite rigid rules, this is something that should be celebrated. By far the most surprising and wonderful moment of this game though is the famous opera scene. It’s an interlude, where combat is replaced by memorising song lyrics and aggression is replaced with beauty. It’s a charming and gentle scene that really propels the characters of Locke and Celese to the fore and one significantly different to anything seen in a JRPG before or since. 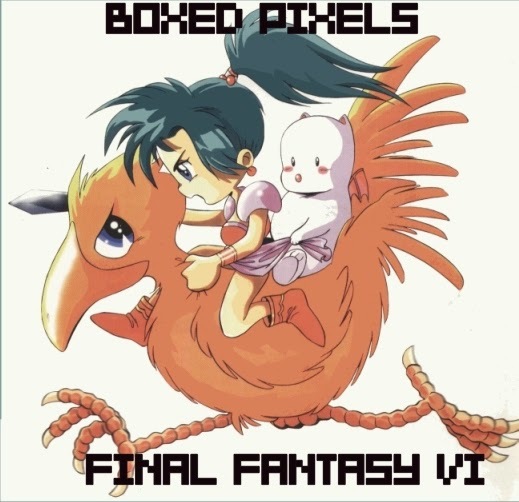 The haunting and emotive song featured lingered on my mind far longer than anything else in the game and it really is testament to Nobuo Uematsu skill as a composer that such a feat can be carried off using a 16bit Sound Chip. If he is a genius the soundtrack for ‘Final Fantasy VI’ must be his masterpiece. But creativity and original thinking doesn’t always lead to success and there are a few misguided design choices that often get washed away by the wave of praise this game enjoys. For example I detest the Velt; the area in the game where the player can take a character called Gau to learn enemy skills. He has a unique ability called ‘leap’ which allows him to learn offensive manoeuvres during battle. The problem is that there are hundreds of enemies in this game and Gau can learn an ability for every single one. Not all of these enemies attacks prove useful to the player though and you don’t what each enemy skill can do until after you have learnt it. Even using a guide and knowing in advance which are the most powerful or useful skills is of little use, since finding the appropriate enemies in the Velt seems entirely random. Ultimately the process is too unpredictable and frustrating. For me made Gau an interesting character, albeit one that I would never have the patience to use. Others though I know enjoy this Gau character and would criticise me for overlooking him. If anything by drawing attention to this flaw I have also highlighted the game’s versatility. I may dislike one character but that really isn’t a problem since there are 13 other ones I can pick from that each play differently. Indeed, it’s the battle system and equipment customization that really sets ‘Final Fantasy VI’ apart from the huge berth of generic JRPGs released by others to cash in on the it’s prequels popularity. Through choosing a character they get on best with, a player can really tailor the game to suit their own taste. Indeed, with various ways to further customise a preferred character’s unique fighting style (using relics and magis) you would struggle to find a method of play in battle that didn’t suit you. If anything, ironically, the flexibility of ‘Final Fantasy VI’ is actually something that damages the game in the long run though. With so many variables in place to be able to tailor the play style to please everyone, there ends up being far too much to think about and juggle. For example, the game provides the option for every character to learn all the magic in the game. If a party needs a specific spell to beat a specific boss, they need to grind. 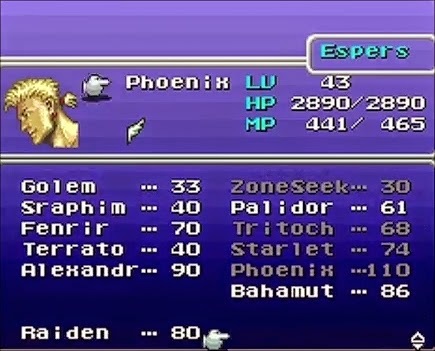 As they fight enemies over and over just to raise their stats, a character will need to have the right esper attached, have appropriate relics in place, and also have suitable items and weapons equipped. All of this is done in menus, and with four characters levelling their stats simultaneously it actually becomes a headache to stay on top of all their level up requirements. It feels at times that you spend most of your time looking at lists of numbers in menus, rather than the beautiful characters. For me it stands in the way of the game and story moving on. Consequently, my first thought when I see a screen filling boss isn’t excitement, its worry. Not that I may struggle to defeat it and lose my progress up till that point. Its worry that I may not have the correct esper equipped to maximise the stat boast that comes with a character levelling up when the boss is bested. Kitase once famously said that “action games rely on sense and instinct while [J]RPGs appeal more to reason and logic”. The problem for me is that too much thinking and not enough action makes the game drag and feel artificially elongated. Perhaps this is why traditionally stat based JRPGs were not popular outside of Japan. Edge magazine said at the time that “many people find them irritating compared to the ‘fight when you want’ game play of ‘[The Secret of] Mana’. There’s nothing more frustrating than being flung into one scrap after another just when you are trying to explore a new location”. It’s a view I have admitted to having inthe past. I dislike blind random encounters as a method of introducing combat to a game, I prefer the approach taken in ‘Chrono Trigger’ or action based RPGs. This opinion actually came from playing the original ‘Final Fantasy’. As someone who had grown up with the ‘Zelda’ series, being unexpectedly pounced on when ill-prepared for combat was more than enough for me to want to put the game down and never touch the series again. Indeed, this bad experience with the first game is another reason why I had never gone back to the series even ignoring the phobia inspired by the numerals in the various game titles. Having now played a lot more JRPGs my tolerance for random encounters has grown and I have become accustomed to them. For me the success of any JRPG is entirely dependent on it hitting the perfect “ratio of enemy encounters to walking” sweet spot. The player needs enough time between battles to get prepared or to be able get to a nearby town to heal should they need. Yet the game also needs to have an encounter rate frequent enough that should you need to build your characters up, you’re not spending too long looking for the next enemy to fight. 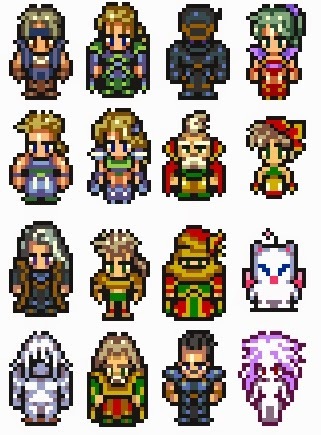 With this in mind ‘Final Fantasy VI’ gets everything about right. At no point did I feel under powered or stressed that all my characters may die before I’ve even had a chance to save them or the game. Yet if I choose to spend an hour just wandering around to add a few levels to my team, this time spent always had a noticeable effect on their stats. Visually the game is stunning even after twenty years. “A sophisticated combination of digitised images and traditional artwork” enthused Edge magazine, “arguably the most detailed ever seen on the Snes”. With a team of 10 designers working on the game it ends up being blessed by a whole range of wonderful artistic touches. From the detailed and charming hero sprites, to the Mode 7 world map that makes other games look simplistic. All the backgrounds, monster designs and towns are also artfully crafted, making for a very visually appealing experience that perfectly fits the atmosphere of the game. “This was the final 2D ‘Final Fantasy’ game before the series switched form Nintendo hardware to Sony’s Playstation” continues Edge Magazine. “As such the game represents a development team, in full control of the hardware”. Overall ‘Final Fantasy VI’ is to quote Edge magazine “a game that is at the pinnacle of its genre”. Any frustrations caused essentially by its scope and scale are so dramatically overshadowed by what the game does right that they can be easily forgiven once the credits roll. Every facet of the game oozes care, attention and love invested in the project by Kitase, Itou and their team. From its amazing visuals, wonderful cast of characters, memorable villain, involving game mechanics and its incredible musical score. Anyone with even a passing interest in Super Nintendo games, JRPGs or just narrative games in general have to play this game. Of course to fully appreciate it you have to have 60 hours to spare, but that and its number suffix must never be an obstacle to you enjoying this incredible title. Indeed, if you can’t find at least one part of ‘Final Fantasy VI’ that you fall in love with its hard to imagine that you like games at all. 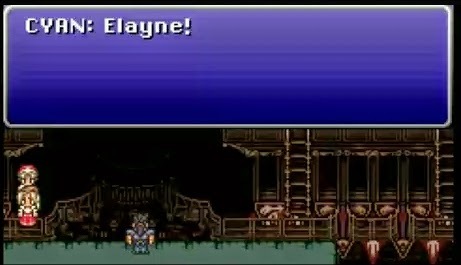 Any discussion of ‘Final Fantasy VI’ has to for me involve the name Paolo. A man covered in tattoos of the series’ characters and probably one of the world’s greatest ‘Final Fantasy’ cheerleaders. Over the years I have known him he has implored me to play this game, so I must again thank him for making me realise what I was missing out on. The game is certainly not cheap. As with all JRPGs on the Super Nintendo, a good condition copy with all inlays and maps cost three figure prices. The value though is undeniable, not just because the most famous games from this genre are typically of a higher quality but because they last so long. In fact a bigger consideration rather than cost, would be time. Without being able to devote a significant number of hours to the game you can never fully appreciate it. There is no way anyone can finish ‘Final Fantasy VI’ for example in less than 60 hours on a first play through and even that time would mean skipping some side quests. As such it represents as good value for money as a £10 game that lasts 5 hours. You can of course just get a download version on pretty much any digital platform, even mobile now. But let’s be honest, if you’re reading a blog about boxed Super Nintendo games that thought has never crossed your mind.